The 2012 presidential election will be held a week ahead of schedule, on March 4 instead of March 11, as previously planned. ­The change has come about as a result of the Russian tradition of adding days to public holidays if they fall at the end of the week. Next year, Women’s Day, which is celebrated on March 8, is going to fall on a Thursday. Prime Minister Vladimir Putin already signed a decree concerning public holidays in 2012. According to it, Friday March 9 will also be a non-working day. This means that the holiday weekend will cover three days (from Thursday March 8 to Saturday March 10), while Sunday March 11 will become a working day. However, elections can only be held on a non-working day. As a result, the date of the presidential election had to be moved up one week. 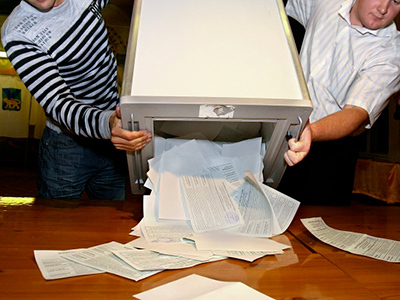 Previously, the head of the Central Election Commission Vladimir Churov said that the date of the election will depend on the government’s decision concerning the “rational use of working and festive days”, noting that it could be shifted to March 4. Following the signing of the governmental decree, the CEC confirmed the date. The interval between the parliamentary election to be held on December 4 and the presidential election will be exactly three months.